Join Forever Humboldt for a reception to recognize and honor our Fall 2018 graduates! 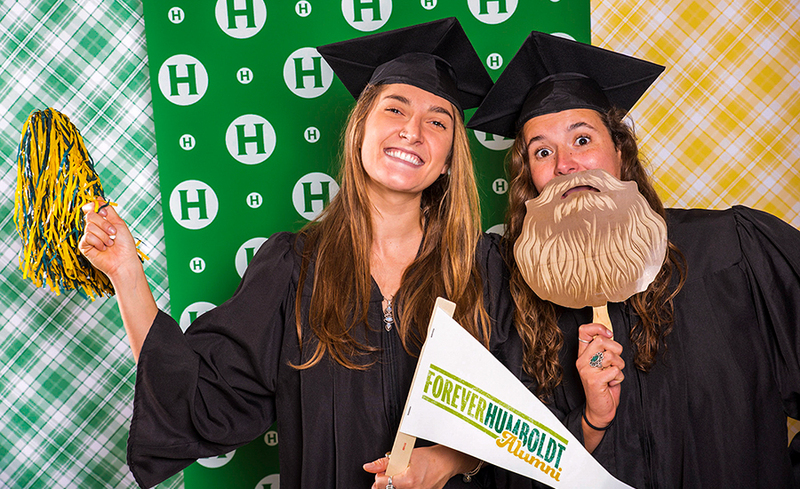 This reception includes a special gift for grads, a graduation photo booth, registration for Forever Humboldt, free food, and more. The Academic Career & Advising Center will be available to share career advice and answer any questions you might have. The HSU Bookstore will be available as well to shop for alumni items and keepsakes. Don't miss this wonderful opportunity to learn about the benefits and services available exclusively to our alumni.